Maybe this is something for the wine industry to be concerned about. ..Nose of smoke, black fruits, cappuccino & toasty wood followed by expansive chocolate after-tones. ..Throws out prune, big and plump apple and light yew bark. ..Aromas of dried flowers, beef blood, spice, figs, sweet black currants and kirsch, smoked game, lavender and sweaty but attractive saddle leather-like notes. ..Rich and smokey, almost longingly elegant, attacks with banana, sad thyme and forceful mango. A U.S. production company recognised that a huge number of American wine drinkers have little or no interest in stories about where wines comes from or how it was made or complex descriptions of individual wine attributes and taste profiles. They simply want wines which taste good, contain alcohol and don’t cost much. The company set up an analytical laboratory in order to perform chemical breakdowns (chromatography) of well known and popular wines. Their laboratory runs tests for approximately five hundred of a wine's inherent attributes and measures the results at a parts-per-billion level. Included in the analytical data are precise combinations of esters and acids and proteins and anthocyanins (water-soluble vacuolar pigments which, depending on their pH, may present as red, purple or blue) together with polyphenols (polyphenols are grouped into four categories depending on their molecular structure; phenolic acids, flavonoids, stilbenes and lignans) which causes a wine to taste creamy, flinty etc and give it aromas of blueberries, vanilla etc. 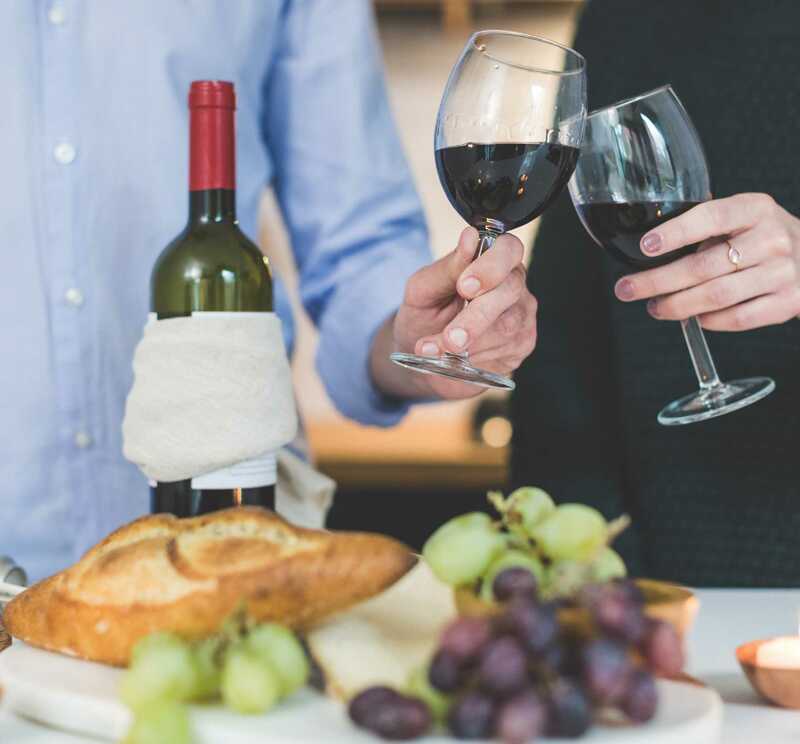 Using cheap surplus wines readily available on the bulk market and by blending in requisite types and quantities of natural additives as determined by their laboratory, the company is able to produce close replicas of popular premium wines. They urge customers to compare their wine products with well-known wine names which usually cost significantly more and it transpires that in many cases, even professional critics have difficulty distinguishing differences between the facsimiles and the originals. The company claims to be able to achieve a minimum 90% chemical similarity to matched wines in terms of notes such as acid, butter, caramel, citrus, earthy, floral, fruity, herbal, nutty, oaky, smoky, spicy, sweet, tannic etc.